Doughnut Time. Yes it’s another doughnut venue, and no, there can never be too many; Melbourne has room for all the doughnuts. In fact, the more the better! Doughnut Time is an unusual franchise because unlike the standalone stores of Shortstop Coffee and Donuts and newly reopened Doughboys Doughnuts this is just a hole in the wall that does doughnuts. Your very own Doughnut ATM! After opening pop ups in the Top Shop at Emporium and the Glue Store in Highpoint, they’ve now got their very own store on Degraves Street. We sent a special envoy on their very first day to “do the rounds”. Or simply put, we went and got a couple o’ doughnuts, bright-eyed and bushy-tailed, for research purposes of course. The original glaze (OG, as it has ALWAYS stood for) is the most efficient test of a doughnut shop’s capabilities. 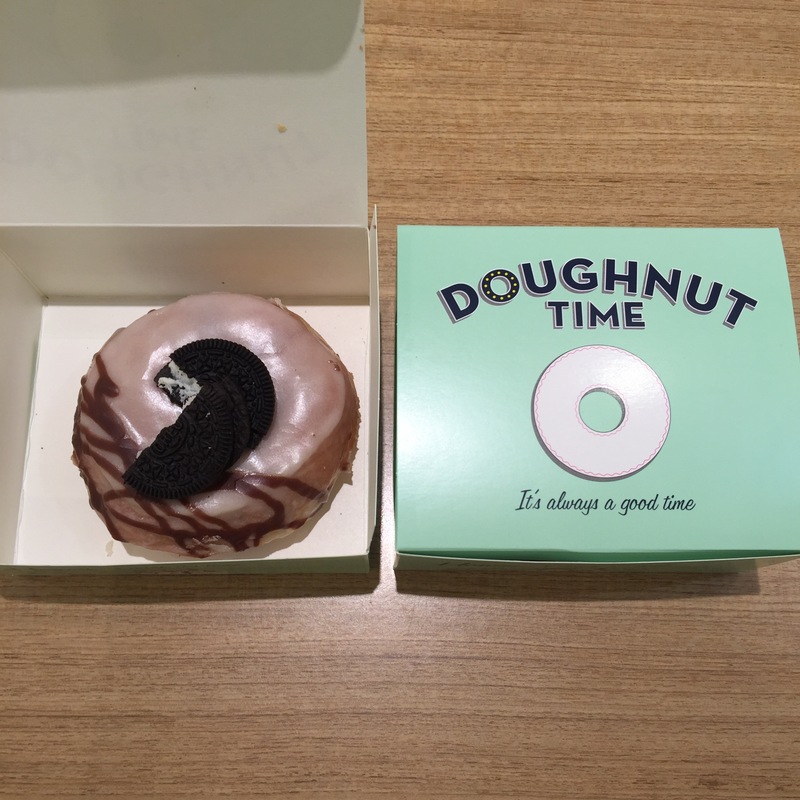 We found Doughnut Time’s original glaze to have a firmer density than other doughnuts we’ve tried, lacking the soft airiness that comes with such examples as those from All Day Donuts or Doughboys Doughnuts, with an almost Krispy Kreme-like flavour to it. 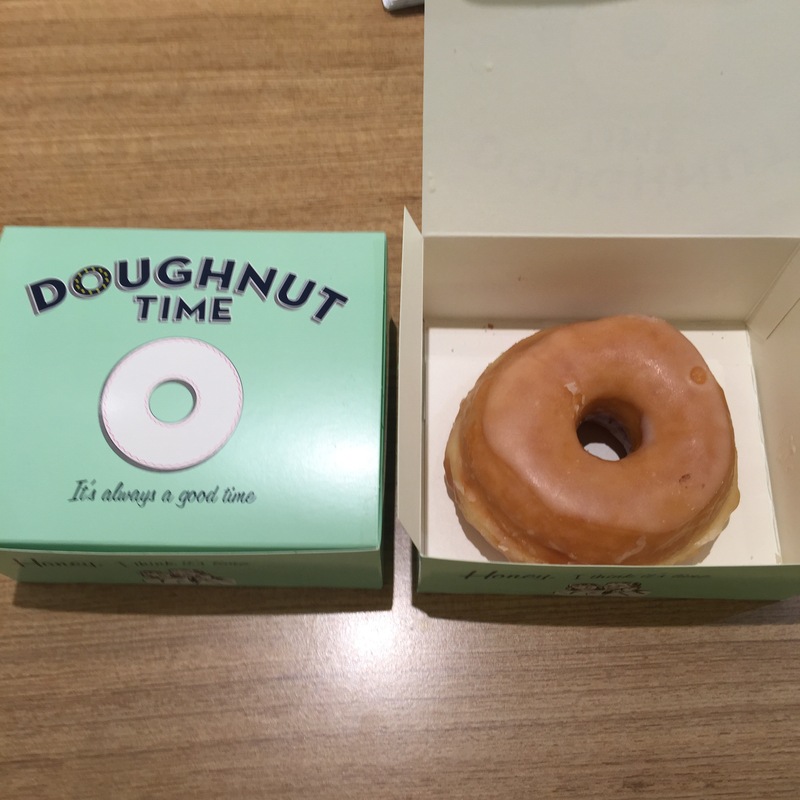 It was very nice, we enjoyed the lightness of the glaze and the slightly larger size of the doughnut. We love anything with cookies and cream, so it was an obvious choice. Chocolate cream-filled with a decadent vanilla icing, chocolate sauce and cookie crumbs on the inside and out – this was an indulgent doughnut no matter which way you you look at it. Quite rich, and again firm without being cakey, this is definitely for the chocolate-lovers out there! At $6 a pop Doughnut Time are some of the more pricey doughnuts around town. With a loyalty card your 9th Doughnut is free but even with the freebie the price is still more expensive than other venues. They also don’t serve coffee; that’s right, it’s just doughnuts – both a positive and negative. They can get their doughnuts out fast, but we missed the ritual of a doughnut in one hand and a coffee in the other. However, with Duke’s Coffee Roasters just around it could be worse (#firstworldproblems). We’ve always felt a certain romance about the idea of a doughnut made fresh in store, but tasting Doughnut Time, which is made off site in small batches, we couldn’t find much difference. 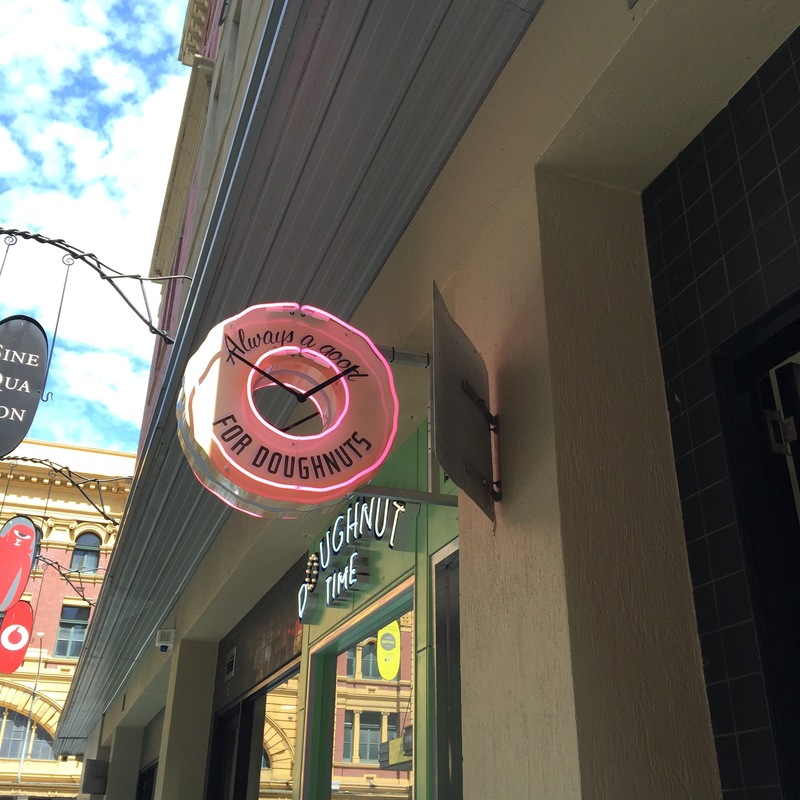 With the sheer amount of doughnut options available to a savvy foodie in the heart of the CBD, it can be the little things like price or location that can be the difference between a do-nut and a don’t-nut. For us, the lack of in-house coffee is a turn off, as is the slightly higher price point, but sheer convenience and a ton of flavour options mean that this will be the doughnut shop for us more often than not.